What is true of a disciple? I recently led the Community Group leaders at First Baptist Church through an activity that asked the question, "What is true of a disciple?" It is important to recognize that everyone is at a different stage along the spectrum of growth as a disciple. No single person is perfect, and so we were really asking an idealized version of that question. Not just "what is true of a disciple?" right now, but what sort of things are we aiming for as a disciple. It is an important question for us to ask. As we participate in the various activities at church, we have to remember our ultimate goal of becoming more like Jesus. It isn't just to show up to Community Group each week or complete the weekly "assignment" for group. The goal of our Community Groups are that men and women grow as followers of Jesus, becoming more and more like their savior. That was the point of the activity, to remind us of where we are aiming. I am going to share the collective results of the activity with you. But first, I should tell you what we did. I asked them to get in groups of 3-4 and gave them a sheet of paper with the outline of a person. On the sheet, we highlighted the head, heart and hands, which provided the framework for a three part paradigm that helped us think about what is true of a disciple. I asked them to take some time to consider what is true ofa disciple based on the head, heart and hands framework. Each group came up with really insightful qualities of a disciple, and I want to share them with you. "I have stored up your word in my heart, that I might not sin against you (Ps 119:11)." As I reflected on this list, it was clear that a commitment to reading and understanding God's Word is an essential quality of a disciple. This will lead to a clear understanding of our sin and our need for Jesus to be our savior. It will also help us know the qualities of God and the importance of our need to love God and love others. As I reflected on the characteristics that the Community Group leaders wrote down, it was clear that love was a central theme. This is good, because that is what Jesus told us was the most important commandment, to love God and love others. This love is for fellow Christians and also for those outside the church, with a desire for them to know Jesus. The Fruit of the Spirit (love, joy, peace, patience, kindness, goodness, faithfulness, gentleness and self-control, Gal. 5:22-23) also had a significant presence on this list. If loving God, loving others and exhibiting the Fruit of the Spirit were defining characteristics of a person, it would be a good mark that they are a mature disciple of Jesus. What we know doctrinally affects the long-standing patterns in our lives. As I reflect on this list, it is clear that we are called to serve others. Whether it be inside the church building or to those outside our walls, we are called to serve. This will require us to give sacrificially and consider others needs above our own. Jesus says that if you want to be great in the Kingdom, you must be a servant (Mk 10:42-45). Another important element to this area is that a mature disciple is intentional. They are intentional in relationships and actions, recognizing that they are a witness to God's Good News (Acts 1:8). We are called to be witnesses in word and deed of the Gospel. Question: What qualities do you think should be true of a mature disciple? 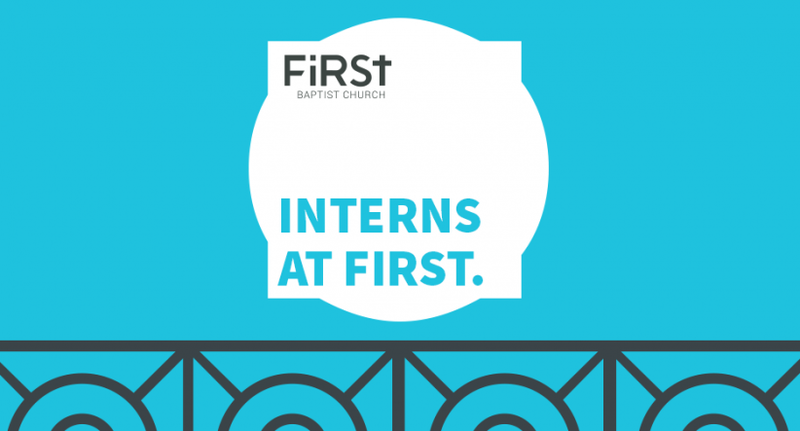 I am writing this post to give thanks to God for the great work that was done through the wonderful people of First Baptist Church last week. We had an entire week dedicated to loving our neighbors and we saw God do some amazing things. By the time last Sunday rolled around I was mentally and emotionally exhausted, but my spirit was full. Our Family Ministries Pastor had a vision to spend a week serving our neighbors. This vision birthed what became known as #FBCServes. During the week our church family filled nearly 150 volunteer spots while serving hundreds of people in various ways. We served families waiting for the Torchlight parade, helped to beautify the local Loring Park rose garden, helped to feed and clothed over 200 homeless and much more. It was a privilege to see our church family rally together for our week of service and may God be honored and glorified through our work. "In the same way, let your light shine before others, so that they may see your good works and give glory to your Father in heaven (Mt. 5:16)." I am writing this to give thanks to God for his good work. It is not to make a name for myself or our church. It is not to pat ourselves on the back as if we have it all figured out. It is to celebrate the good work that God did in and through our community and give all the praise and recognition to Him. It is impossible to claim to love Jesus and not lovingly serve our neighbors. A clear call from Jesus to his followers is that we would engage in acts of love that meet real and tangible needs in the life of those around us. We are called to serve people around us. To humble ourselves and seek the good of others. Jesus told his disciples that the greatest in the Kingdom would be those who serve (Mk. 10: 42-45). Elsewhere in the Bible, we are told that it is impossible to claim a love for God if we do not also love our neighbors (1 John 4:19-21). God has redeemed us so that we would be zealous to do good works, which God has prepared for us (Titus 2:14, Eph 2:10). God calls us to love others well as a worthwhile endeavor in and of itself. I would not want to minimize the importance of God's call to simply love others well. But that is not the only reason engage in acts of service. It also provides a great testimony to the God we love. The Bible talks about our good works serving as a way to bring glory to God (1 Peter 3:12, Mt 5:16). This provides a credible testimony to others and gives an opportunity to share the gospel. Over the week, we had the opportunity to serve in many different ways. Here is a recap of all the things that God did through our community during FBC Serves. We kicked off our serve week by hosting our annual Torchlight Tailgate. This event is geared toward serving the hundreds of people who sit near our church along the parade route, which runs along Hennepin Ave. We had over 50 volunteers help to provide inflatables, face painting, crafts, juggling entertainment, sleight of hand entertainment, popcorn and 480 hot dogs. Between adults and children we had well over 500 people come through our parking lot that night. It was amazing to watch all the volunteers rally together to put on this event. 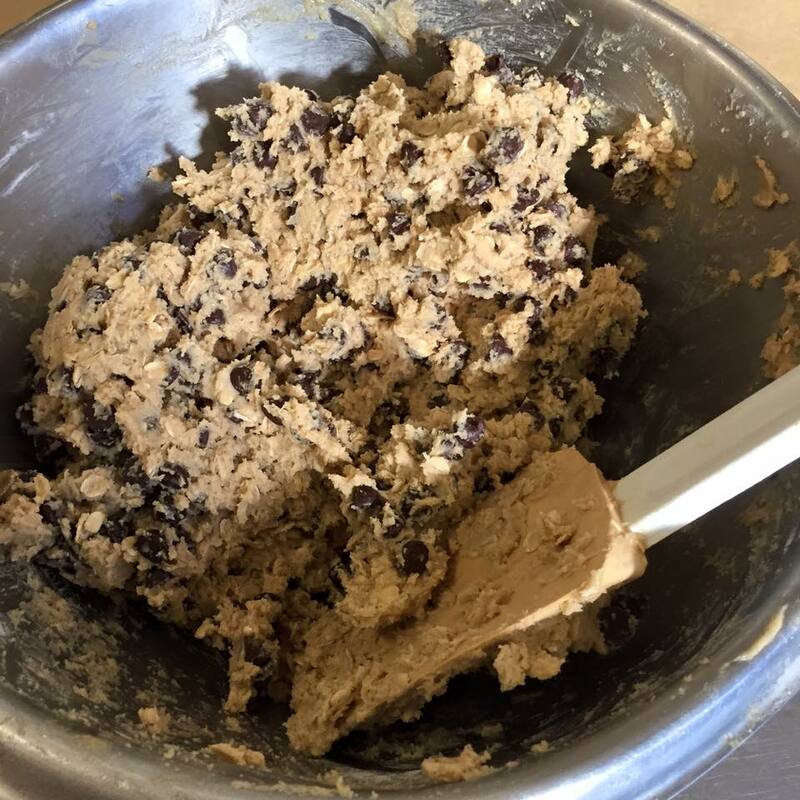 On Thursday night we had 20 people join us to make brownies, cookies and other baked goods for our neighboring offices. There were also others who brought some treats they had made at home. Through all those efforts we were able to package up 20 gift boxes that were filled with baked goods. 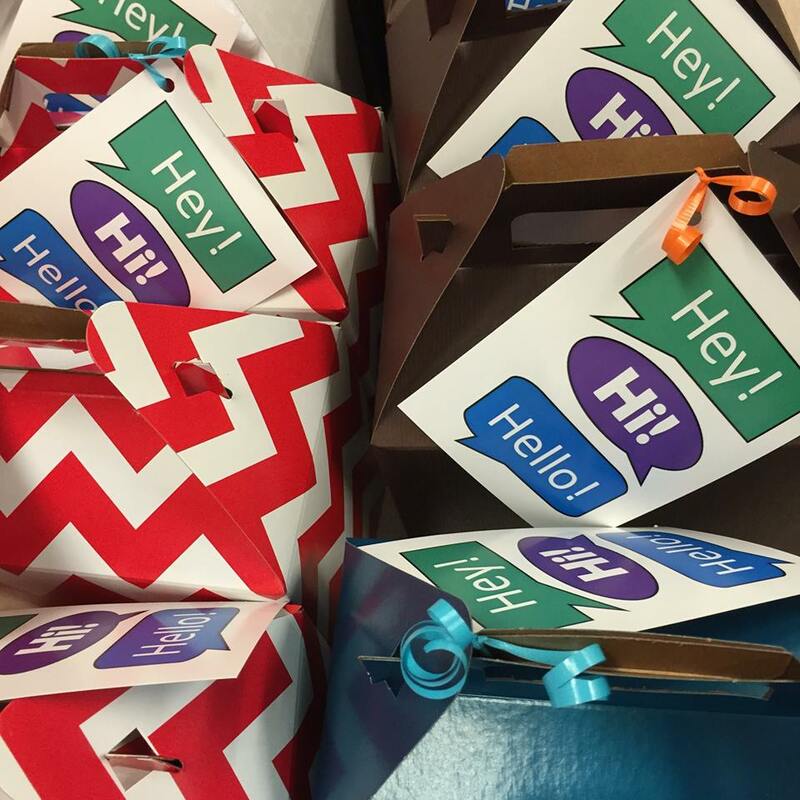 On Friday morning, a team of people took those 20 gift boxes to some of our neighboring offices. We were able to bless some of the hard working people who are located in offices near us. It was a joy to wish them all a happy Friday and give them all some delicious treats. The reception we got was fantastic! Another team of people worked with some organizers form Loring Park to help clear the large Rose Garden on the corner of Hennepin and Oak Grove. We had hoped for a few more volunteers for this, but the ones who came worked very hard on a hot day. It was a great way to bless our local community by helping to care for that important community space. On Friday afternoon, two teams of people went to two different affordable housing apartment buildings near the church. 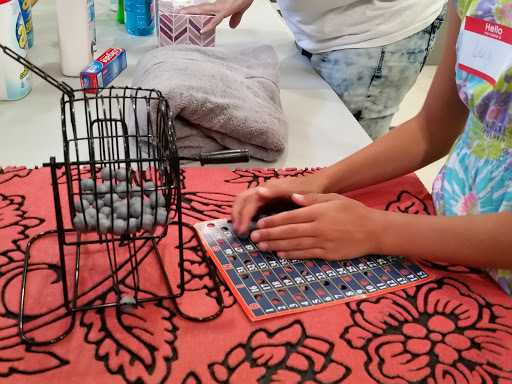 We provided some community activities including bingo, games and crafts to help build relationships and support the community development of those apartments. We also made some bagged meals and cleaned some of the community spaces. The residents were very thankful and it was great to spend time with some of our neighboring residents. We hosted one of our regular Saturday outreaches with In Love, Word and Deed (ILWD). We have loved our partnership with this amazing ministry and it was great to include an ILWD Saturday Outreach as part of #FBCServes. We gave away 200 chili dogs, 200 bagged meals, a significant amount of clothes and as much prayer as people wanted to receive. As always, our partnership with ILWD was an amazing opportunity to have a tangible expression of God's love for people. On Sunday morning, we coordinated an opportunity to hear from one of our missionaries, Gary and Pat Olander who works with Cru City in Phoenix and we also made tie blankets for the Children's Hospital in Minneapolis. We had about 40 people come from all different generations. We had the youngest to the oldest all working together to make 10 different blankets for the Children's Hospital. Our FBC Serves week was meant to be a way for us to have a concentrated effort toward serving our community in tangible ways. We saw many people volunteer from the church and I am amazed at what God did during that week. Let this be a catalyst. Let it be a beginning, not an end. Our FBC Serves week was not a period at the end of a sentence. It was more like the first word of a beautifully composed prose. Our prayer is that this would awaken an even deeper desire in our church family to love people through serving. May God be glorified in our efforts to love our neighbors well. As you finish reading this, please ask yourself how you can get involved. Are there ways that you can love those around you? Are there ways you can partner with us at FBC or with your own church community to engage in a tangible expression of God's love, so that he would be glorified and that more and more people would worship Him.